Do you forget simple things that would benefit you? Every time I need to get a boost to reputation or leveling XP, I forget the Darkmoon Faire exists. Every. Single. Time. 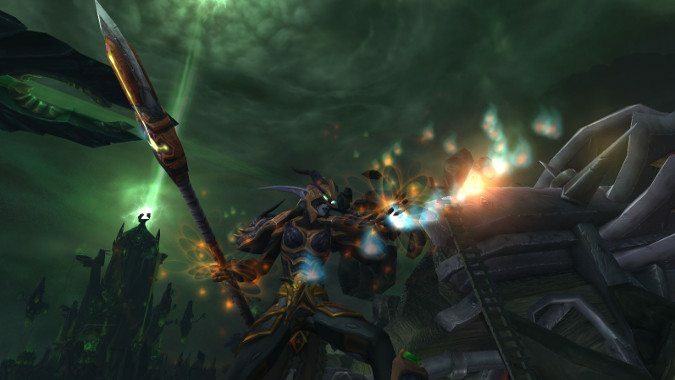 Doing the rep grind with Legionfall? Don’t remember the Darkmoon Faire exists until half way through to Revered. Leveling an alt? Never go even once. I have been playing this game since 2004, I’ve been aware of the bonus from the carousel on the Faire island since it was put into the game, and yet I never remember it’s there. Likewise, the entire time I was complaining about Highmountain before flying, I could have gotten that free glider. I knew it was there. I knew how to get it. And yet I forgot to ever get the thing, I still don’t have it. It would have made a lot of things so much easier and yet, I never once even made an effort to pick the thing up. So how about you? Do you have heirlooms you never remember to wear? A passenger mount you never actually make use of even though you’re playing with a friend and it would be totally helpful? Is there anything you forget that would have made something much easier?